This is a game I made for an Estonian game making competition. 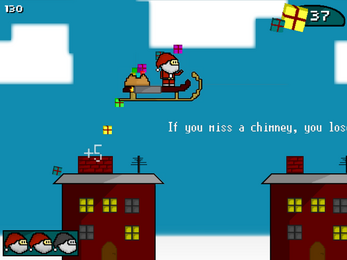 You play as Santa, and the objective of the game is to throw a present into every chimney. Some glitches with the music may happen with the HTML5 version, so if you want the "full experience", then consider downloading the small 5MB downloadable version for free.